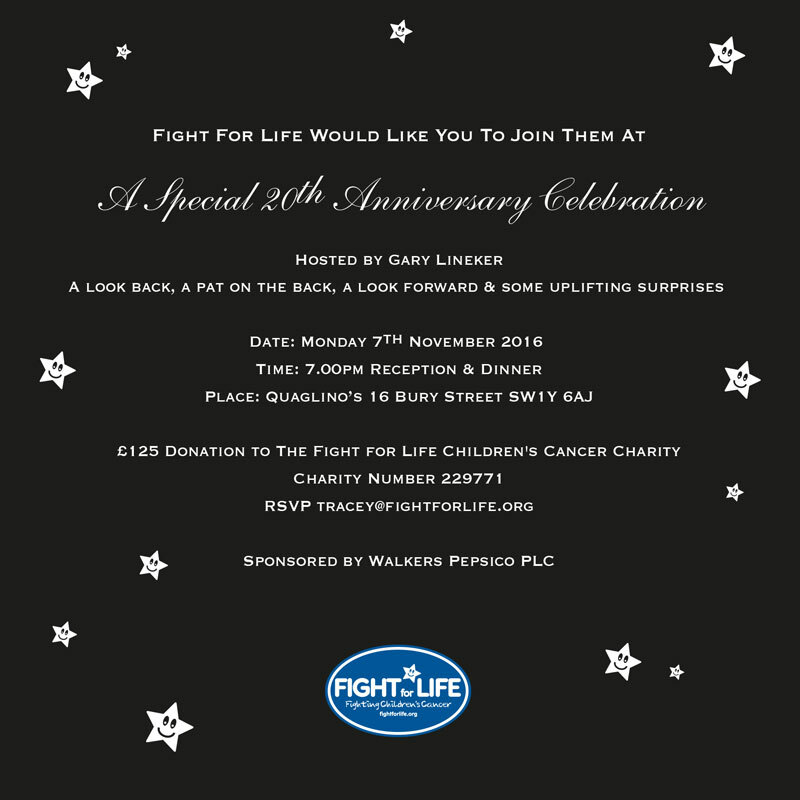 This year Fight for Life are delighted to be celebrating their 20th anniversary with a reception, dinner and star auction hosted by our patron sports presenter, Gary Lineker. 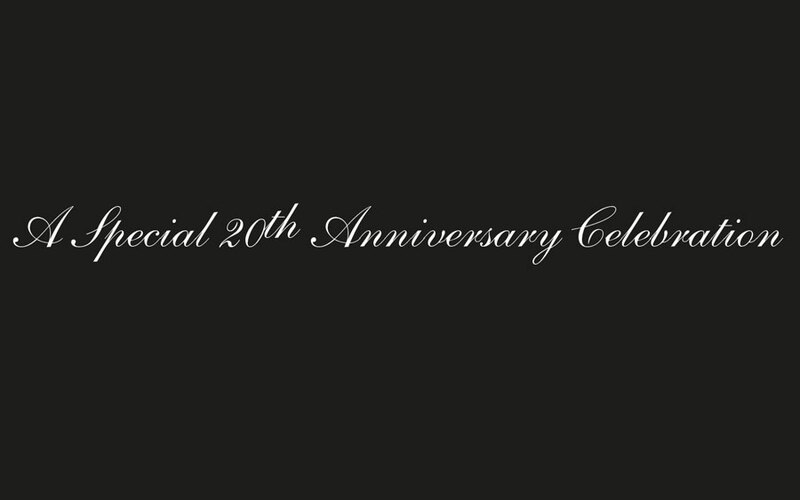 The milestone event will be held at Quaglino’s on Monday 7th November and attended by our patrons, loyal supporters and friends. If you would like to support us by attending or donating to the fund, please email tracey@fightforlife.org to buy your tickets for this one off special night of celebration.